Multicolor Railroad Signs Cotton Fabric..
Thomas Color Express Color Rectangles Cotton..
Thomas Color Express Number Balls White Cotton..
Thomas Fast Friends Character Toss Yellow Cotton..
Thomas Friends Medallions Toss Black Cotton Fabric..
Thomas Friends Medallions Toss White Cotton Fabric..
Thomas the Tank Engine Steam Team Express Country Scenic Cotton fabric. 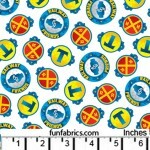 This fabric is great for qui..
Thomas and Friends Fabric, Thomas Steam Team Express Engine Panel Cotton fabric. 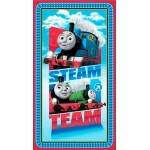 This fabric is grea..
Thomas the Tank Engine Steam Team Express Toss Blue Cotton fabric. This fabric is great for quilting..
Thomas the Tank Engine Steam Team Express Toss Green Cotton fabric. This fabric is great for quiltin..
Thomas the Tank Engine Steam Team Express Toss Yellow Cotton fabric. This fabric is great for quilti..
Thomas and Friends Fabric, Thomas Steam Team Engine Panel Cotton fabric. This fabric is great for qu..